Apple and Samsung were the only smartphone brands to achieve above average overall satisfaction scores in the J.D. 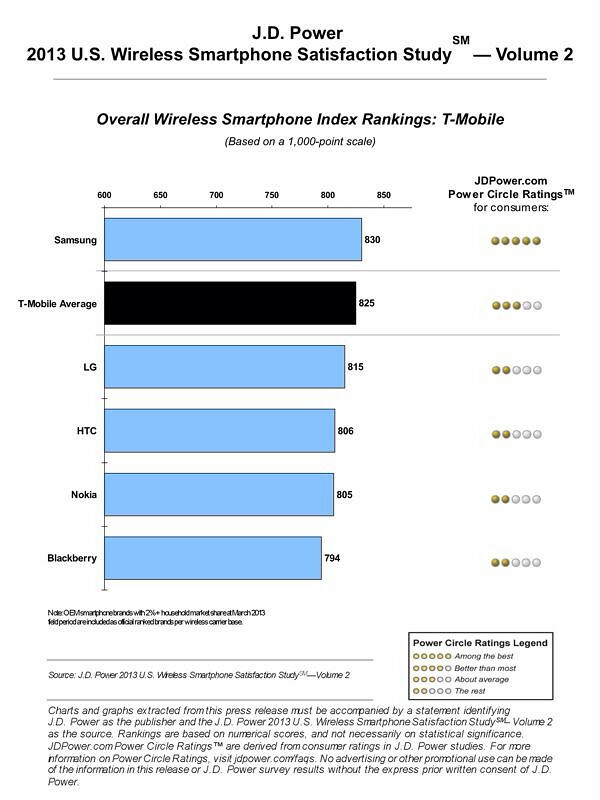 Power 2013 U.S. Wireless Smartphone Satisfaction Study--Volume 2 released today. The study is based on experiences evaluated by 16,421 smartphone customers who have owned their current smartphone device less than one year and who are customers of the four Tier 1 carriers. The study was fielded between February and August 2013. The study measures customer satisfaction in four factors: performance (33%); physical design (23%); features (22%); and ease of operation (22%). Notably, customer satisfaction varied based on the carrier. 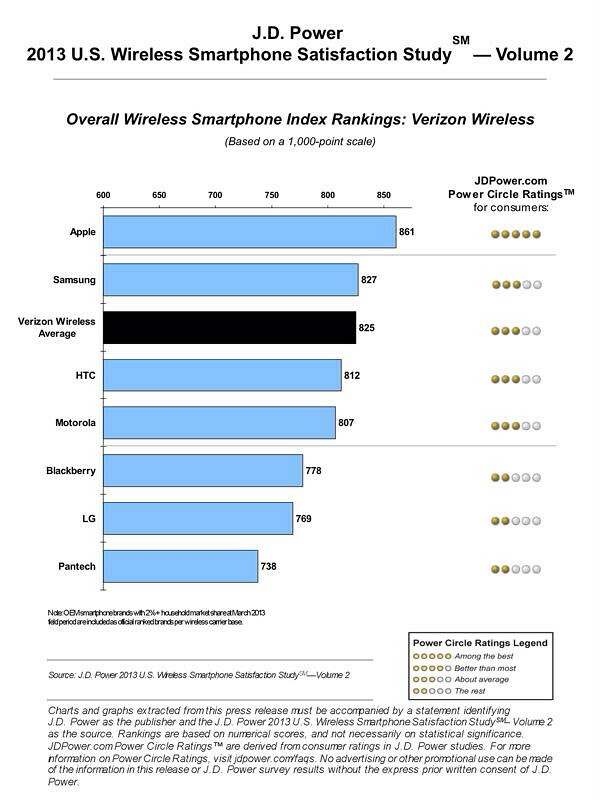 "It's very interesting to see that satisfaction performance differs by smartphone brand across Tier 1 carriers," said Kirk Parsons, senior director of telecommunications services at J.D. Power. "This indicates that carrier services and how these carriers position specific features and services on their devices influence the experience customers have with their smartphone device." 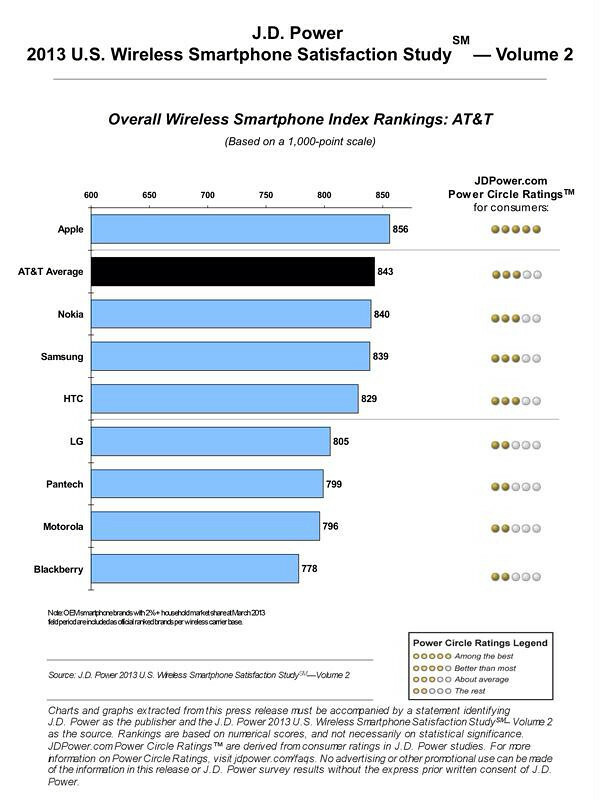 - Overall satisfaction with smartphone devices is highest among AT&T customers (843), followed by Sprint (835); T-Mobile (825); and Verizon Wireless (825) customers. - Among Apple smartphone owners, satisfaction with their overall experience is highest among Verizon Wireless customers (861). 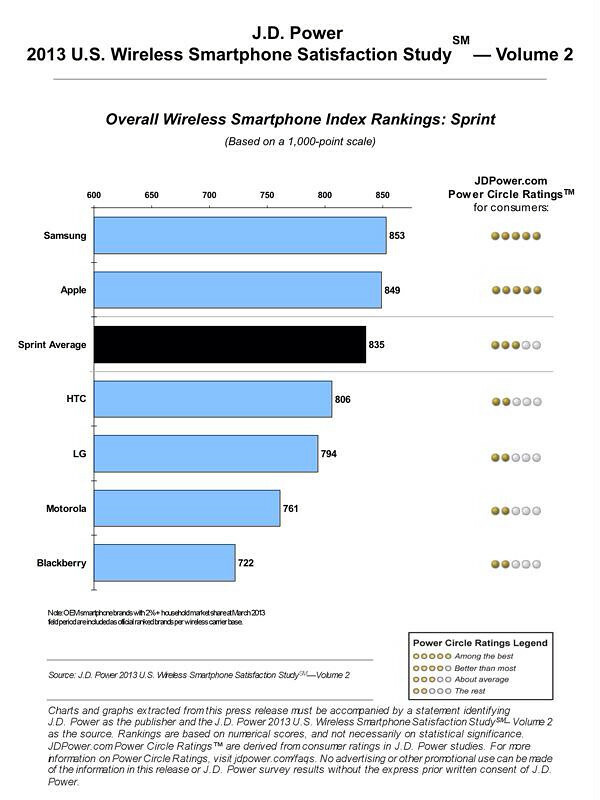 Among Samsung smartphone owners, satisfaction is highest among Sprint customers (853). - Smartphone models that perform particularly well across all four U.S. wireless Tier 1 carriers include (by OEM in alphabetical order): Apple iPhone 5; Blackberry Z10; Nokia Lumia 920 and Samsung Galaxy Note II. - The primary reasons for purchasing a smartphone device differ by carrier. Sprint customers are more likely to purchase their smartphone device because of phone features, while T-Mobile customers are more likely to select their smartphone due to price. - Overall customer satisfaction among smartphone owners is 833 on a 1,000-point scale. Take a look at the charts below to see the results!